Soccer like every other sports have the type of gears that need to be used to get the best out of the players. In soccer, it is absolute necessary to use these gears as it affects performance and also have a great effect on the players due to injury concerned when not used. This is why one of the most important gear to be use in the sport is the soccer cleats. Soccer cleats provide the right foundation of feet that helps the players become have more control over their game. The type of feet a player has also contribute to the choice of cleat he will be using. Soccer players are always advised to wear shoes that are comfortable on their feet and as such this has to be put into consideration when making a purchase. That’s why we have compiled a list of Top 5 best soccer cleats for wide feet 2019. It is understandable that players with wide feet might be having some challenges picking the right choice of cleat so the need for this guide. There are enough on this piece to make enough make an informed decision. All that need to be done is follow through to the end. The name Adidas will never be taken lightly in the sport industry as they are a front player across all the sports. In making soccer cleats, they are not left behind in making the best shoes. Their Copa Mundial shoes is one that is specially made to suits wide feet players. They are made of a leather material to make them long-lasting and comfortable. It consist of an innersole that is synthetic which allows better durability and more comfort of the pressure points in the feet. What makes it very good for players with wide feet is the EVA die cut as it provide them with enough support. There is a synthetic liner in the shoe which allows users’ feet to breathe and be well ventilated. This shoe will make it to most reviews top list for the quality of shoe it is and also for the fact that its Adidas and they don’t disappoint in this field. The shoe is well suited for natural ground because its outer sole is made toll be firm to the ground. The leather in it also makes it to be durable. Like stated earlier, the die-cut EVA insole makes it a special feat for wide feet. It however does not have variety in colour as all users are expected to wear exactly same colour. It also lacks midsoles. Adidas also nick it for the second best soccer cleats for wide feet players. This time around, it is a product of theirs that have variety of colours to pick from. The Adidas Performance men’s Gloro shoe is one that is top in the market for wide feet players. Its quality is undeniably top notch. It also have a mixture of leather and synthetic materials which allow the shoe to be more durable and be of better size and thus feat in to wide feet players. The presence of the rubber sole is to ensure softness along with the right support on the grim of feet which makes it the suitable for people with wide grim only. It also have a premium K leather that is synthetic which is placed on the heel as it gives room for stability for players during matches. Its synthetic lining put it top among its pairs as it makes it a perfect cleat for wide feet players. The synthetic lining is a unique feature that makes user prefer it to others. Add this to the leather and synthetic materials which makes it useable in all weather condition, and you will have a cleat perfect for wide feet player. 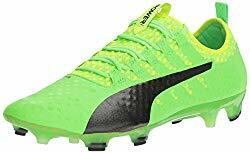 Puma is also another top player in the sport industry of providing gears for all grades of sport men and women regardless of their location. Their cleats are one of the best in the market. Their Evo power is a top brand in the market because of its features. It provides comfort on the feet and it’s stable. It also have the tendency to give energy to feet which makes it unique and highly effective to the users. There is also the presence of accu foam makes it the perfect feat for players that need better circulation to polish their skills on the field. It also various colours that makes it attractive and give room for different choice. Its lack of collar support is the only minus for this cleat. Nike is another top brand up there with great sports gears for all grades and gender. The company is regarded as one of the best sport brands across the world. This can be seen as they have a wide range of athletes as their ambassador. They were only able to achieve this because of the quality of their work. This is the case with their cleats also. Their Magistra Obra II is one of a kind made of synthetic material. The firm ground design affects the users on the field by helping them remain stable through the mildly wet fields. The top design makes it the right shoe for players with wide and flat feet. The shoe makes top five across the game because of how user friendly it is as allow easy touch of the ball which helps make the game smoother. The synthetic leather material makes it suitable to wet grounds so no need to request for a different cleat during game when there is downpour. The support provided by the high inbuilt socks makes it the preferred choice of payers with wide feet couple with its great touch with the ball. There are concerns about the ventilation of the shoe as many sees it as not having enough space for air to flow in. it also have concerns with its tight top socks. Asics is another company that produce sports gears. They are however not as popular as the like of Adidas or Nike. They have a great shoe that can rival any other brand. That is why their men’s Ds Light 6 soccer shoes made it to the top five list. This is a shoe that is very light and allow the players to move around easily. The leather material use to make it is of top quality as it enhances durability. It also have a feature that allows people that don’t want their laces tied to freely wear their cleats since they are slip-on yet they provide great support. These shoes have a reasonable height which allows them to offer more support to the users. The rubber insole does not target the pressure points. It is also not a shoe good for wet ground or during raining days. For wide feet players, one key thing that has to aid their purchase is the material the cleat is made of. This is so as it most times determine the durability of the cleat. Below are some of the best materials to choose from. Kangaroo: This is a leather type that is quite expensive but have a great contact with the ball. It is soft and breaks down that can get the foot adjusted. They are however not very durable. Full-grain: This is a more durable leather material and one that fit into a wet ground. It is however very tight as it can be stretched. Synthetic: This material is ideal for almost every field. They are less expensive and easy to maintain. They turn out to be the strongest even in rough terrains which make them a great choice. It is like the perfect choice for someone who have no peculiar specification. One quality almost all sport shoes should have is the firmness to the ground it will be used. This is a feature that should be watched out for. For shoes to have the firmness to the ground, they will have a hard plastic set of grooves on their sole which allows users to get a stable foundation on almost every field. These groves help the shoes become more versatile in almost every weather conditions too, which is an addition to the safety they provide. There is a reason wide feet players always require different shoe. This is to allow them have shoes that will take care of their leg shape which seem to be different from how most other shoes are produced. So the main addition is the insole support. This is always soft and supportive from various angles to provide maximum support to the user. This insole also support the fact that there should be extra space in their shoes for them to always readjust their legs. This is also done still maintaining the shape of the shoe. For wide feet players, how comfortable they are when using these cleats is the most important thing to them. It doesn’t matter if it has a great touch of the ball or made of great leather and other reasons. That comfort has to be achieved first before they talk about other things. In doing this the material of the lining and the innersoles have to be of great importance. Most cleats have a sock lining material or synthetic lining. You will have to choose the one that is most convenient for you. The PE sock lining is most recommended since it remains breathable yet highly cushions the foot overall. Due to the fact that it will be used by players with wide feet, the sole have to be supportive and have a back sole that is cushioned too. These things becomes useful in the process of air circulation and comfort. It is after use that the player have finish the day activities that he feels the effect of a good or bad sole or lining on his cleats. 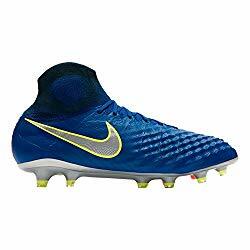 This guide of the best soccer cleats for wide feet players is to help make an informed decision of what to buy and never an imposition of a particular product. It is however to always get review from previous buyer’s base on their experience which is what we have help compile here. We hope you best the best decision while making your purchase.